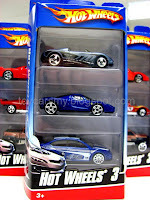 Hotwheels Pack of 3 is selling 50% from the normal selling price RM24.90. Today Isetan is having their presales open only for Isetan club members. Most of the Items having additional discount before the actual Sales start on tomorrow. 3 cars selling at RM12.45 which is RM4.15 each is very value for money, normal selling price for single pack already at RM5.90. 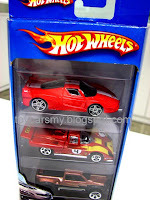 Furthermore, the package come with my favorite blue Enzo and red FXX makes the decision straight.